Is posting your good deeds on social media selfish? When you do something good for someone and post about it, does it make the good deed less meaningful? Durban muso, DJ Tira recently posted a video on Twitter. The videos see him with a street artist from Durban who lost both his hands and is working on some drawings. He supposedly sells the artwork in and around the city to make a living. In the video, Tira talks to the artist about being independent and why some people fail because they are looking for jobs. The video is very interesting as it shows a very wealthy person and a not so well-off person in a conversation about their life experiences, something you hardly ever see in South Africa, a country where the wealth gap is the biggest in the world. Interestingly in the video's caption, Tira mentions that he gave the artist “Chankura” which means money. This got me thinking about whether posting about a good deed on social media diminishes it or not? We live in a time of professional attention seekers and it’s not uncommon to see people do things to get attention online or in attempts to go viral and gain more followers. This also includes acts of charity. On the other hand, however, people might post good deeds online to encourage others or to raise awareness for a cause. 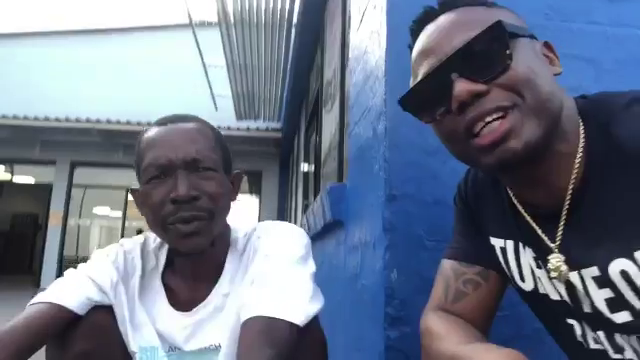 The reaction to DJ Tira’s video was mixed with some getting behind him for what he did for the man, while others questioned his ethics about posting good deed on social media. What do you think? Does posting a good deed on social media diminish it or not? Share with me below.